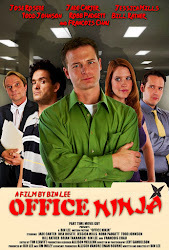 [Office Ninja] has been chosen as a Silver Ace Award winner at the 2012 Las Vegas Film Festival. Only a maximum of 20 films in each competitive category were chosen to be honored with this prestigious recognition. Our judges felt that your film demonstrated superior and standout filmmaking and is deserving of special recognition. Your film was among the best of over 1,000 films submitted from over 30 countries around the world.